Poll no. 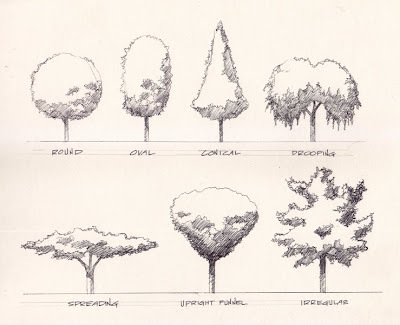 1: A Familiar Tree is Not Always Native! About a month ago I discovered the poll option in my blog. I did not know before that you could actually create a section here where readers could vote on a certain topic. I was excited in choosing what would be the very first poll question I would air for blog followers and the topic was not at all hard to come up with. 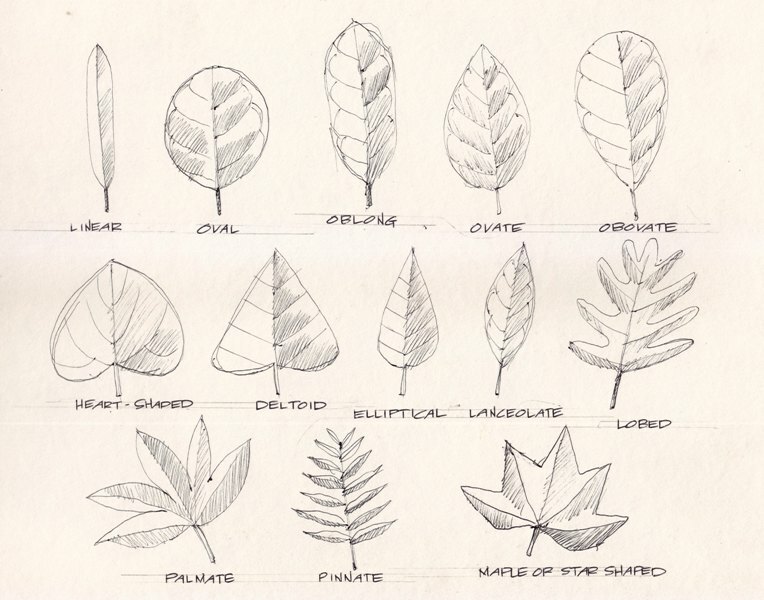 Every time I do a lecture on trees I always start with species which I anticipate most of my listeners would be familiar with. Usually it would include acacia, mango, langka, santol, aratiles, macopa, duhat, atis, papaya, kaimito, chico etc., which are basically what we find growing in most Metro Manila households. All of them get a bit surprised that none of the mentioned are actually native to the Philippines. Most are either Central or South American species brought here in the Galleon trade routes. Some have also been prehistorically introduced by ancestral Filipinos when they rode their bancas (from mainland Asia, Indonesia or Polynesia) and settled on Philippine shores. These trees we find abundantly growing as echoes of what our ancestors have told us to grow in our households. 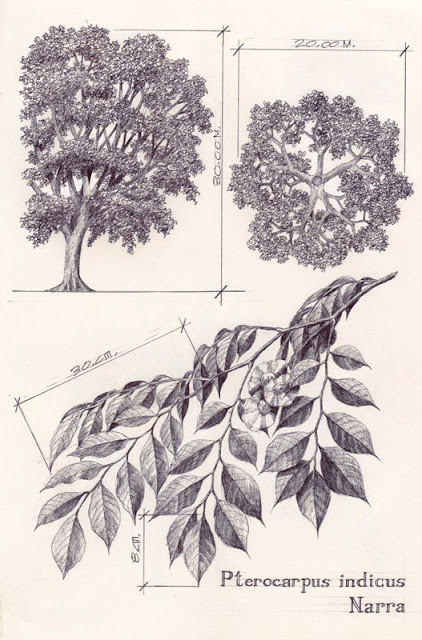 In the case of the gallleon trade trees, they were subliminally forced upon us by the gobernadorcillos and prayles, telling indios what were productive to cultivate and domesticate. One example is the song bahay kubo where a lot of common vegetables were mentioned to be planted in our backyard, yet none of these are native. Because of it the Bicolano laing could never be complete without the sili (Capsicum, native to the Americas). Karekare and paella could never be as delectable and colorful without achuete (Bixa orellana, also from Americas) etc. 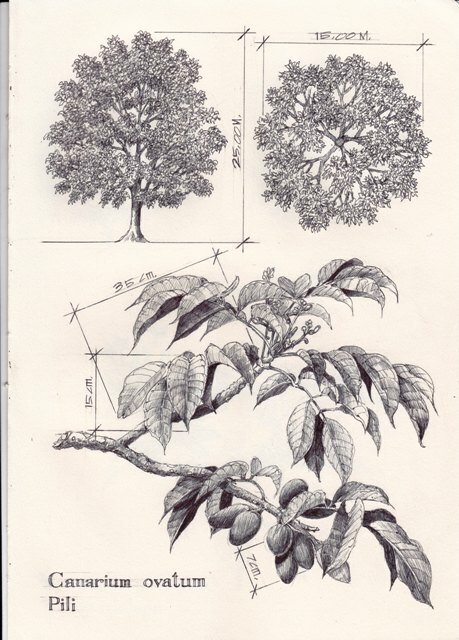 In the June poll, I listed six trees: acacia, santol, duhat, mango, narra and langka as choices for known native trees. It is good to hear that out of 35 respondents, 24(68%) considered narra as their top pick as native tree. They were right. The other choices were all exotic trees. Acacia (Samanea saman) is an American tree brought here at the end of the Spanish era. 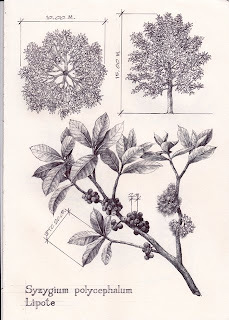 Santol (Sandoricum koetjape), langka (Artocarpus heterophylla) and duhat (Syzygium cuminii) are natives of neighboring countries which were brought into the Philippines by ancestral Filipinos. Mango is an Indian tree also introduced prehistorically but varieties not present in India were already developed and adapted to local growing conditions, hence we have our kalabao and piko varieties. So the right answer is... Narra or Pterocarpus indicus! 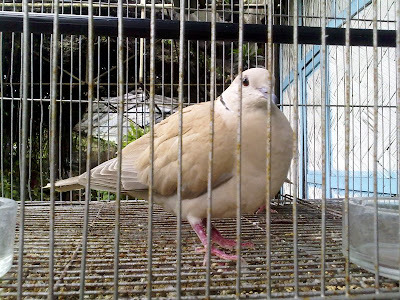 This Philippine native could also be seen in other neighboring countries. But in the Philippines it is prized because of the good grained and reddish-colored wood. It has other economic uses including medicinal properties. It is believed to cure high blood pressure. said by processing the tannins into a tea concoction. Indeed a wonder native tree. A new poll is now posted below. Please cast you votes! A Native Tree Walk in UP! Hello. 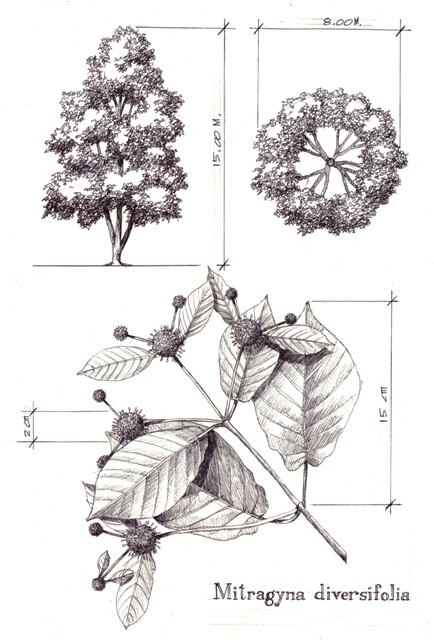 We are conducting a native tree walk in University of the Philippines Diliman Campus on Saturday July 2, 2011. Meeting place will be in front of the Oblation in Quezon Hall at exactly 9 am. Everyone is welcome to join. We will just ask for voluntary donations for the Philippine Native Plant Conservation Society. In line with this, PNPCSI members Anthony, Ronald, Ernie and I met this afternoon to make a dry run of the proposed route. Looking at the tree covered campus, the native trees in the mapped out areas are far from each other. It was essential to time the walk at our pace to determine what to include and how many species would be covered in an alloted time of 2 hours or so. Honestly the route I prepared was tiring, but it fell a little over the target 2 hours and included as much as 50 species, not including the trees in the 100 UP trees area and the MSI plot. We will probably play it by ear if we are to shorten the proposed walk itinerary. We will see on Saturday based on the participants' pacing. I posted here some pictures of trees and areas that we will be walking through on Saturday. Hopefully other than me as main tour guide, some other in the know people from PNPCSI will join us and give their insights and info tidbits on the native trees we will encounter. We hope to see you there, so we could show you how beautiful some of the native trees we have still remaining in the metro. Be in your most comfortable shoes so that we could tackle as much trees possible! Quick Post: I bought this orchid a few weeks ago in the Sunday market. It was labelled Aerides aff. odorata as the seller was not sure if it is odorata. 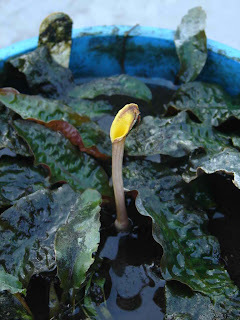 But they were certain it was propagated from plants collected in Palawan. It had an impending flower spike which I was not sure would push through blooming. Today as I inspected my plants (which I have not done for a long time) this bloom surprised me with its delicate baby colors. Usually in specimens I buy with with flower spikes, blooming is aborted because of transplant shock. Apparently this plant is so eager to be identified in my collection. I am still not sure what Aerides this is. It seems to have more yellow color than the usual Aerides odorata flowers. It is too light to be an Aerides lawrenciae. I have seen and known the Mt. Samat cross ever since I was a kid. 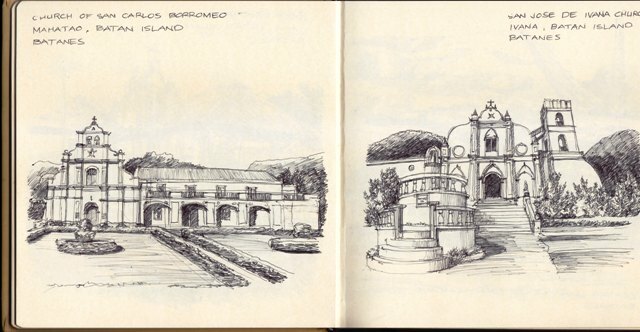 We used to make the very long trip (pre NLEX and SCTEX) to Villa Imperial near the PNOC complex when I was about 7 or 8 years old. It would take 4 to 5 hours by road travel, and the last hour and a half would always have a good view of the cross on top of the mountain. I always wondered what is up there. I have heard of stories that the cross is actually a building with an elevator. Also that it is a tomb for some of the soldiers who died in World War 2. I never got to go up and confirm these, till April this year, which is 30 years after. My sister Cecil and her sons did not have anything to do on a Good Friday so we decided to go on the pilgrimage to climb up Mt. Samat and learn what is really up there. We made the trip via NLEX and the San Fernando - Bataan Road. The trip was shortened to almost just a couple of hours because of the improvement of the road infrastructure, a far cry from trips we made when I was little. Once we reached that intersection after Balanga in Bataan, slowly we made the ascent to the wooded areas on the foot of the marked mountain. The straight roads of the highway was transformed into curving till it was almost zigzagging. Bends became sharper and negotiating the turns went from manageable to hard for our vehicle as the road sloped steeper. But surprisingly there was pedestrian traffic running alongside the vehicles, even when there was no sidewalk on the road. People were doing their own pilgrimages by foot, a much harder task to hurdle as the mountain is surprisingly high and rugged. This is unexpected as it is not apparent that Samat is a slightly tough cookie to conquer, when you see the view of it and its cross at lower elevation. When we neared the entrance of the cross shrine, we realized our ordeal was far from finished. We had to continue on foot as the parking was already full and the road going up to the foot of the cross was also packed with parallel parked cars. My heart pounded as I saw the series of stairs leading up our cross goal. I was anticipating my own agony. My younger nephews negotiated the steps easily and of course i lagged behind them and my sister. But slowly and surely, i managed to catch my every breath. With a little help of will power I soon was pacing my last strides, raising my now much heavier calves to the last risers. My ultimte joy was seeing a store selling cold Coca Cola on top of the last flight. Probably the best can of soda I had. It is true that there is an elevator within the cross, but on that Good Friday afternoon, getting on it was a much greater task than climbing to the cross grounds. There are literally hundreds of people awaiting their turns to get on the elevator car and ascend to the top of the cross, where I heard the view is priceless. We had to content ourselves with the satisfaction of reaching and seeing the cross upclose. Besides, the view at foot level was also something to look forward to. Here you could already see the whole of Bataan and Manila Bay. We were already very much happy with what we saw and experienced. Probably another surprise was to see that what was on top in the Mt. Samat shrine is not only a monumental cross. It is a complex with a main shrine building, a congregation area with grandstand, accommodation facilities and service areas. The architecture was definitely American influenced, probably Art deco because of the elongated geometric patterns. Minus the very rowdy crowds, I could imagine that the place is indeed a conducive place to remember and contemplate the heros and martyrs of World War 2. It is a monumental island on top of a very green background that is Mt. Samat. Incidentally, the third surprise was to find this part still covered with trees and lush greenery. But regret is that among the thick green of reforested area, exotic trees are very visibly intertwined with the native species. This silent war between natives and exotic flora would not probably merit any monuments like that of the Mt. Samat cross. Just hope that in the end, it is our environment that turns out the big winner. Eventually my sister, nephews and I found ourselves on the way back feeling like winners ourselves. We have conquered our goal for that day. We reached our cross! It is not a tomb, but a fitting memorial to remind us of a sad part of our Filipino history. I confirmed my suspicions on what was up there on that far cross. And after years and years of wait, I finally reached the summit of Mt Samat. Today is Philippine Independence Day. Every June 12 I get reminded with the line from the song 'Bayan Ko'. 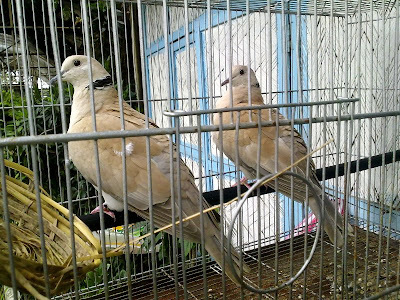 'Ibon man may layang lumipad, Kulungin mo at umiiyak'. People are fortunate they have voice and reasoning. These birds do not. Have you ever seen a dao this big? 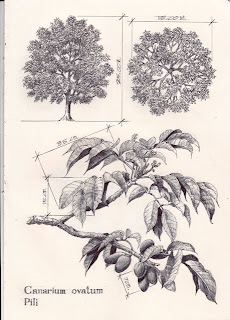 I have seen young dao trees and much older ones in Daranak falls, UPLB and in Sorsogon. But to date the one standing in Biak na Bato National Park is the biggest I have seen so far. I can't even get a picture of the whole tree. It has a very large buttress base appearing like a massive wall. It definitely dwarfed all of my companions who tried to get close to it. Dao is Dracontomelon dao which is a forest tree that forms huge buttress roots to support its humongous size and thick canopy. It is a member of the family Anacardiaceae, which makes it related to the cashew and mango. I hope this tree will live on for many more years and many-many more generations to come. I was in Ninoy Aquino Parks and Wildlife last Saturday. But aside from the usual plant lecture and visiting the demo plot, we got to experience a different treat - cosplay. Everytime we are at the park we see a lot of younger people dressing up and having their pictures taken. But we always assumed that these were either students making school projects or commercial ads with little location budget. Last week I learned that some are basically avid costume addicts dressing up like their favorite cartoon hero (nowadays these are mostly characters in what they call anime or Japanese animation). Just to fully copy the get-up of their favorite anime character is fulfillment enough and the pictures are taken as proof of their accomplishment. And when they are fully-garbed, they are in synch with the character they emulate, complete with weapons and the attitude to make it perfect for the camera. Ultimately they chose the ruggedness of the Wildlife landscape to be their backdrop, a change from the usual concrete jungle setting in Manila. It is really a contrast between action/adventure and serene/natural. To these new breed of cosplayers, more plants versus your zombies and monsters! More power to your hopefully far-from-final fantasies. 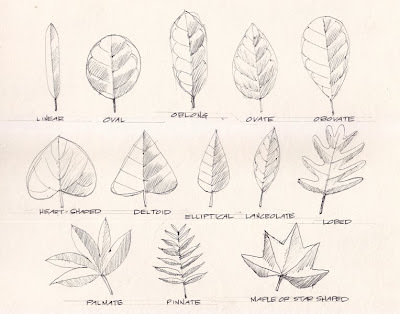 Posting the very basics of tree evaluation: tree profiles and leaf shape sketches. Hope these help you in appreciating trees and other plants on your next outdoor trip. Two years ago, the famous bell tower, the Carillon, was refurbished. Apart from reviving the hourly chimes of its famous bells, the grounds were also given a facelift via a proper landscaped plaza designed by Prof. Horacio Dimanlig. The design made use of the popular exotic royal palm or Roystonea sp. (from the Caribbean) to further frame the tall structure. But a year after the royal palms succumbed to transplant shock leaving again the Carillon as the sole straight mass in the area. This morning I was happy to find that the dead royal palms were already replaced with a new plant species. Since also a year ago, a memo was passed to only allow native trees to be planted in any U.P. campus, the new palms had to be Philippine indigenous. 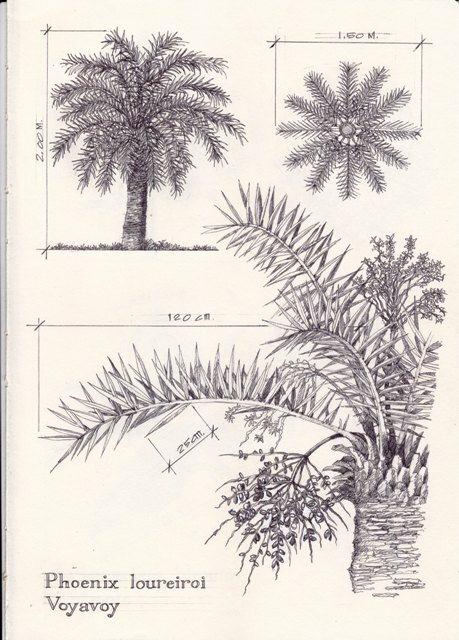 The palm they used is anahaw or Livistona rotundifolia. It is a fan palm that could grow straight and tall, elegantly framing the majestic Carillon (and will not compete with it in terms of bulk). The only downside is that most fan palms are harder to transplant, which is why the specimens planted in the Carillon were younger and shorter species. These will have a better chance to survive than full grown plants. Hopefully in a handful of years we'll get to see the intended aesthetic effect of these anahaws, giving the proper drama for the beloved landmark. I miss Batanes! It is such a different landscape than the rest of Luzon. 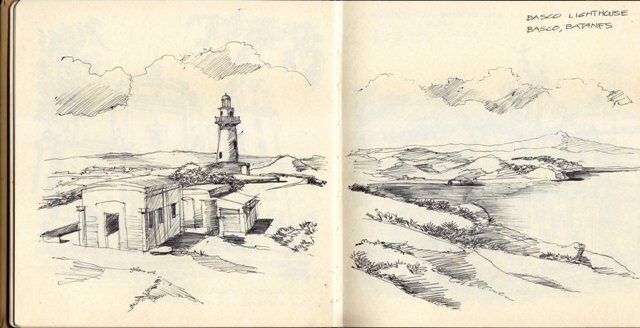 The sceneries are all picturesque. 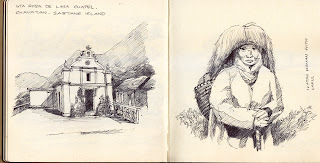 It is a haven for photographers, a paradise for sketchers! 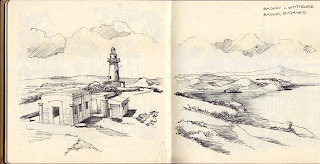 I revived one of my older blogs and dedicated it to my other passion, sketching. Please visit it at www.metscaper.blogspot.com. My blogging was born out of plants. 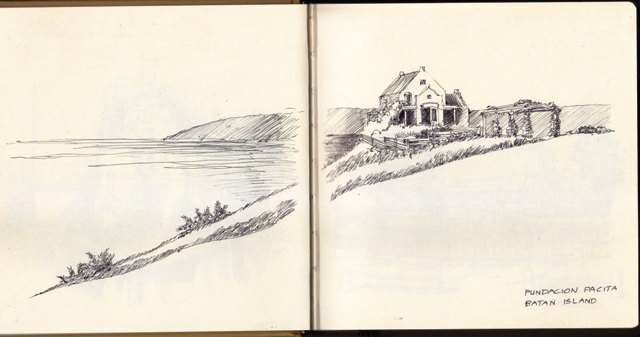 But sketching is my first love. So might as well sketch stuff around the metro aside from plants. But then again plants are the origin of this all so I'll post a few of my plant sketches from my thesis. I was with members of the Philippine Native Plant Conservation Society this morning, and bird -watcher Cel Tungol was with us. We were briefly admiring how the PAWB has enhanced a few areas in Ninoy Aquino Parks and Wildlife (these refurbished areas are still closed to the public) when Cel quickly spotted a colasisi (Loriculus philippensis) hanging around a campanilla tree (Thevetia peruviana - from Peru). It was nimbly jumping from one branch to the other, nipping away the yellow flowers of the campanilla. 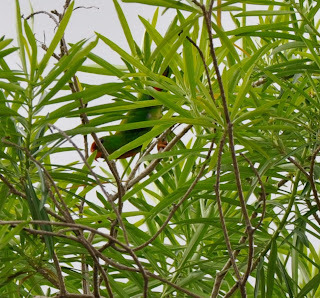 It was so fast it made it hard for us to snap pics of the small parrot. A few minutes, the colasisi had had enough of the flowers and flew away, disappearing into the other trees. Cel and I had a tete-a-tete because of the colasisi's short stint. We wondered how a very small and cute parrot became associated with the coloquial 'kulasisi' meaning mistress/other woman. Was it because the parrot had an easy time jumping from one branch to the other, we really do not know. Or maybe because the name sounded so playful. Then Cel cited there were other birds that fall victim with name associations. She named a couple. One's namesake is the negative sounding word 'pokpok' which is a Filipino slang for prostitute. Bird no. 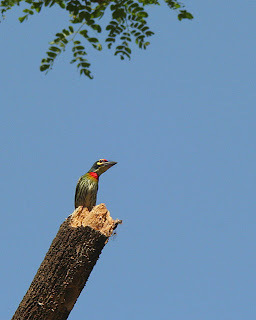 1 was the coppersmith barbet (Megalaima haemacephala) which is my bird lifer in my previous post. Bird watchers call this small bird such because the sound it makes is similar to 'pokpok'. Well, just the luck of the barbet. Another unfortunate bird is the bulbul (a bird group belonging to several genera) for the obvious reason its name sounds like the Tagalog word for pubic hair. There are several species of bulbuls from the Philippines. First name impressions should not tarnish how important this bird is in the environment. A lot of forest tree species are dependent on them for seed dispersal as the birds eat the fruit and carry the seeds out to great distances. Here the seeds could germinate and grow to new trees. So you see, there is so much importance for such weird-sounding-name birds. 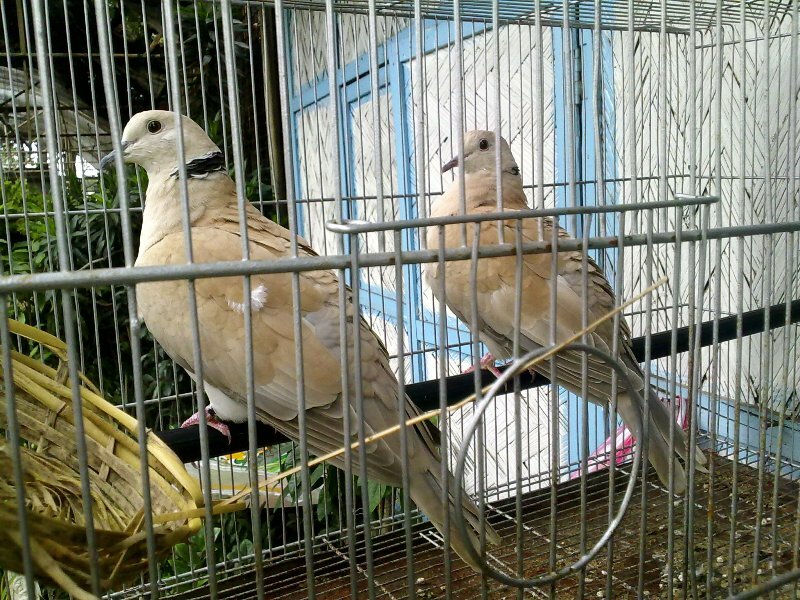 Birds are also the recipient of some derogatory comparisons. Example is that talkative people are compared to martinez or mynah (Graculus sp.) and tarat (Lanius cristatus). 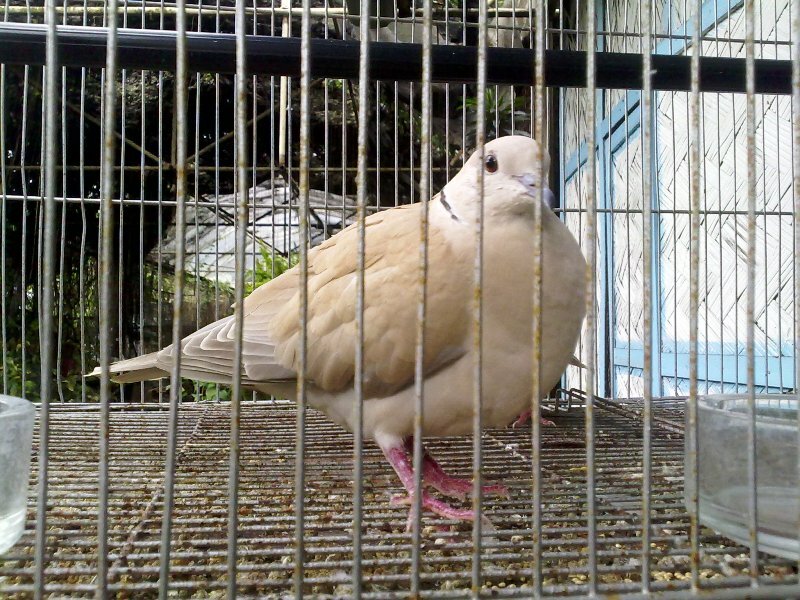 Probably the ultimate is the allegory on prostitutes calling them 'kalapating mababa ang lipad' (low flying pigeons). The mynah for one is becoming endangered in its native Palawan. In Singapore. related mynahs are practically everywhere in the crowded city which makes it alarming why the native mynah is not as common. Probably better to put birds in the light as they are indicators of how sound our environment is. Their presence should often be considered a good thing, something that could make us happy, even if their names would make us laugh at times. But generally the sudden appearance of the colasisi in Wildlife made us smile. At least we were assured that the parrot species is still around in the city. My planted aquaria are all long gone but most of my aquarium plants are now planted emersed in my garden. I found my Cryptocoryne usteriana in flower. This is an aroid native to Guimaras, growing very long leaves when submersed in water. But since I have them cultivated in small pots, specimens have compact leaves, much shorter compared to in situ plants. I have to be reminded to repot them, to allow them to grow bigger. Quick Post: Saw this one in the airport in Xiamen, China. The plant displays look so fancy with the live gold fish in clear glass vases. Very nice and interesting idea for an interior plant set up. Made me stop and stare even though I was too tired tugging along my hand-carry luggage.